In recent years, also in small and middle lot product, high accuracy of size is required increasingly. However, since there are few lots, metal dieboard cannot be used even if you would like to use. 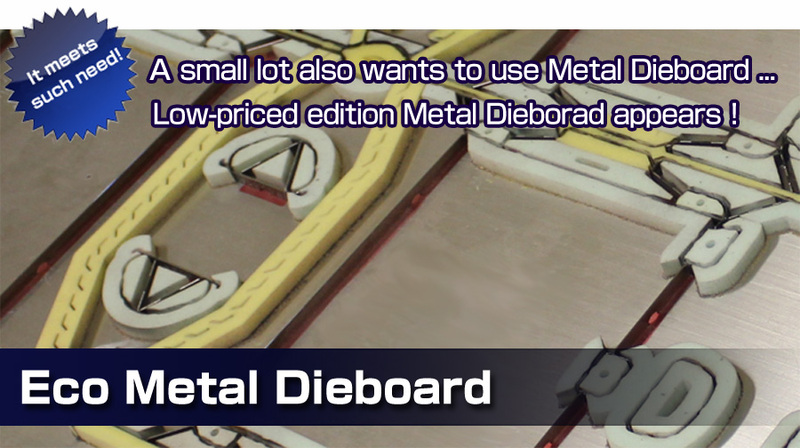 The low-priced edition Metal Dieboard which held down the price was developed in response to such voice. Of course, accuracy of size is not inferior compared with the usual Metal Dieboard, either. Furthermore, we also considered environment. It is the design which is easy to decompose in order to discard, or in order to make additional correction.